Young couples can find tax time to be a confusing experience. You combine your lives and your finances when you get hitched, and that includes your tax returns. The IRS provides guidance for the many different documents required during tax time and when they must be received. Your employer must get your documents to you in a timely manner; you in turn must file your taxes by the correct deadline to ensure you don't end up with late filing penalties. Your employer has until January 31st to mail your tax documents. You have until the middle of April to mail your tax return. 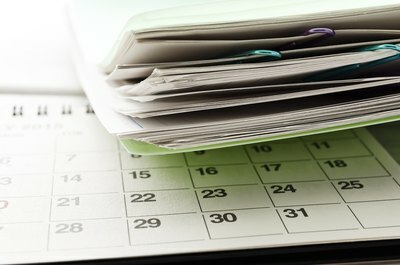 At the beginning of the year, you receive your tax documents for the previous year. A common misconception is that you must receive your documents by January 31st. The IRS requires all tax documents such as W-2s, 1098s and 1099s to be postmarked by January 31st of the new year. Depending on the mail service, you may not receive your documents until the first week of February. 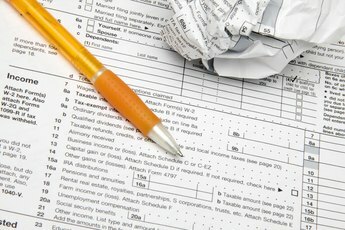 The IRS provides guidance on what you should do if you don't receive your W-2 forms, including contacting the IRS and filing out a form 4852. The 1098 forms provide your mortgage interest, student interest and charitable contributions for the previous year. The 1099 forms provide various types of income, including self-employed income, dividends/distributions and proceeds from real estate transactions. 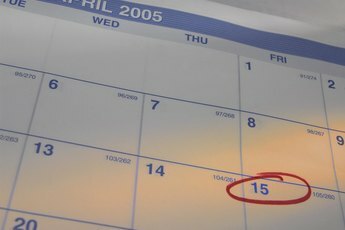 April 15th is the yearly filing deadline for the previous year's income taxes. All tax documents must be postmarked by the post office on this date to count as being on time. They do not need to be received by the IRS on this date; just postmarked by the post office. April 15th does not always fall on a business day. 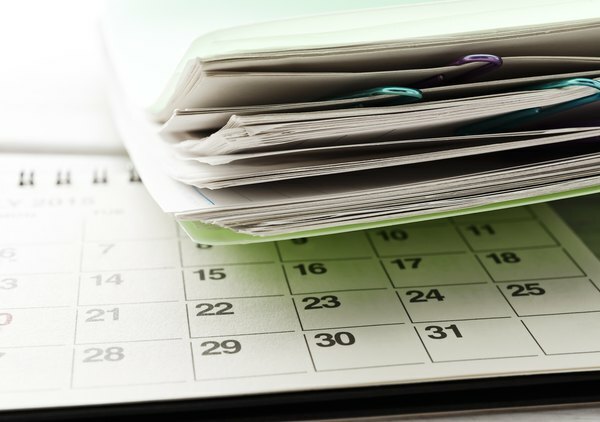 The IRS makes adjustments for this every year it occurs by extending the deadline to fall on a business day, allowing you to get your taxes filed on time. Failing to file your taxes by the April deadline results in late filing penalties. These penalties begin to accrue immediately and accumulate until the IRS receives your tax return. Failing to file a tax return comes with severe penalties and consequences. Complete failure to file a return results in the IRS filing a tax return on your behalf using only the information they have available, such as W-2s and 1099 forms; this results in you missing critical tax deductions and ending up with a huge bill. The IRS may levy your bank accounts and file a federal tax lien against your property. The IRS offers deadline extensions to those who cannot meet the deadline. You need to fill out Form 4868 to request an extension from the IRS. The IRS offers this form through their website and through their electronic file system. A deadline extension allows you an extra six months to complete the filing process for your previous year's income tax return.